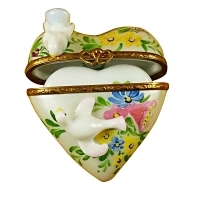 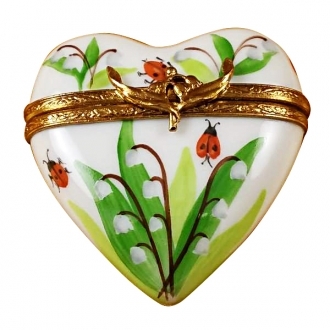 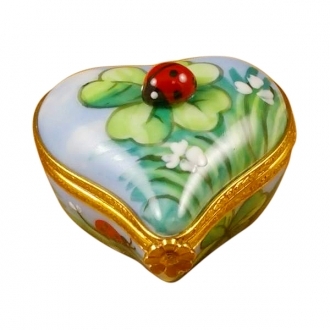 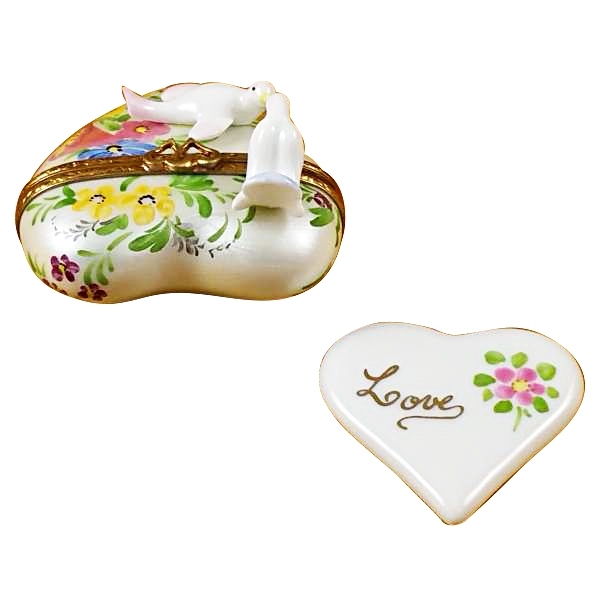 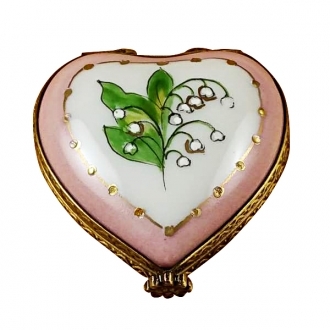 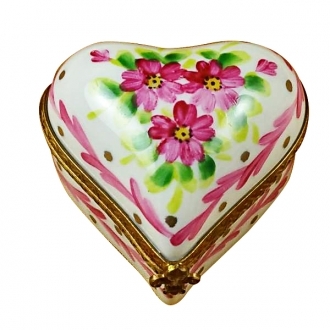 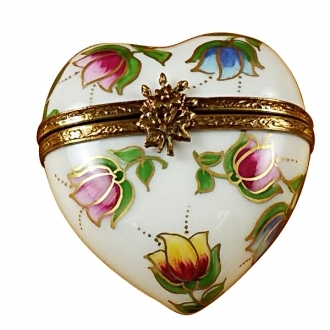 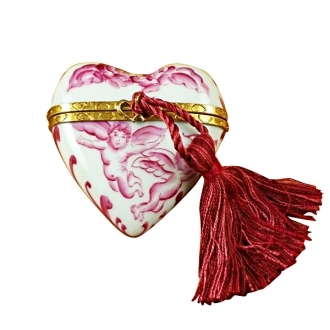 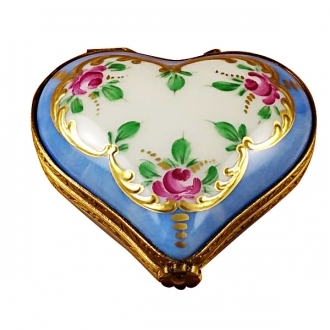 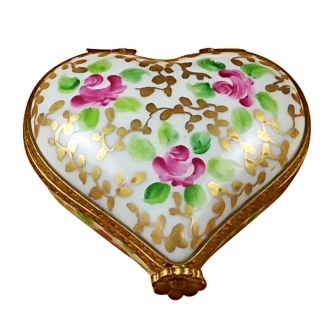 Heart w/two doves - Limoges Boxes and Figurines - Limoges Factory Co. The symbol of two doves stands for everlasting love. They say that doves choose only one mate for their lifetime. 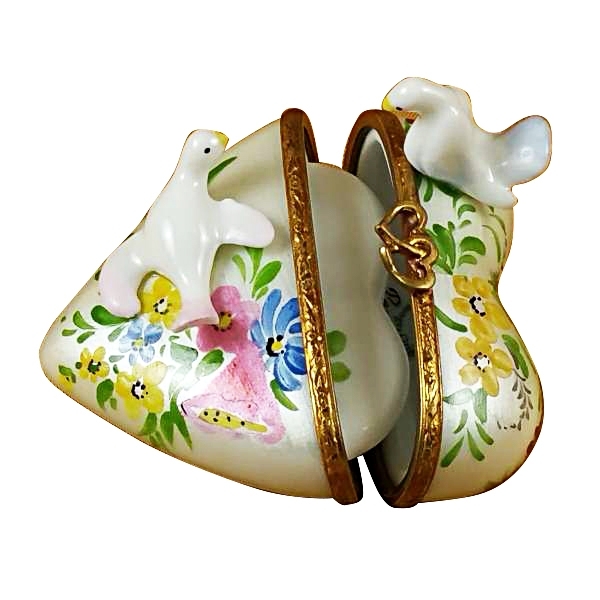 If one of them dies, the other one will not find another mate and will spend the rest of its life alone. 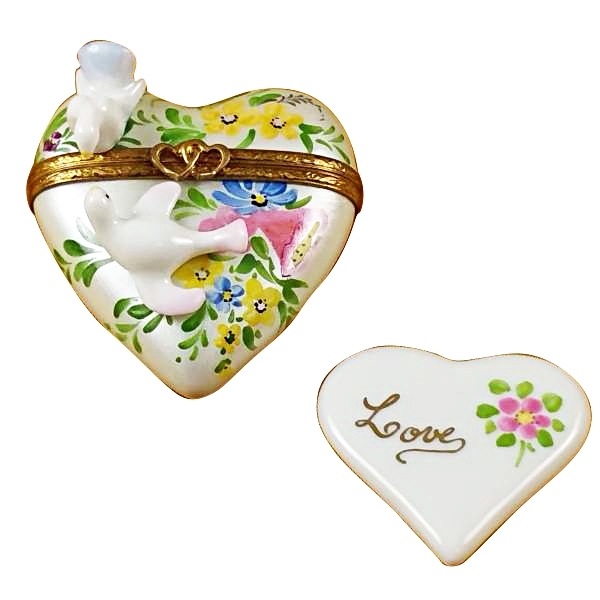 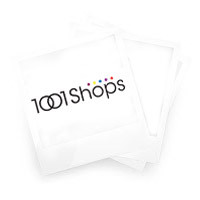 Measurements: 2" х 2" х 1"